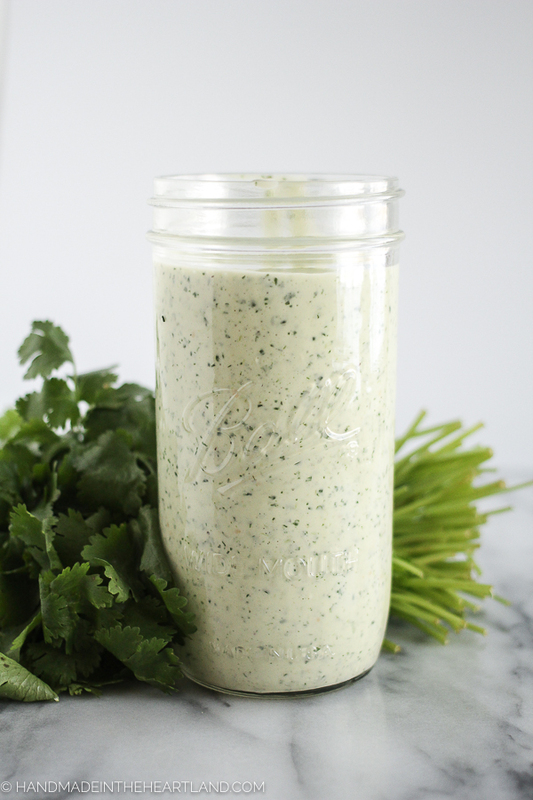 This recipe for cilantro lime ranch dressing is perfect for topping salads, as a sauce to go over burritos or a delicious dip for fresh veggies. 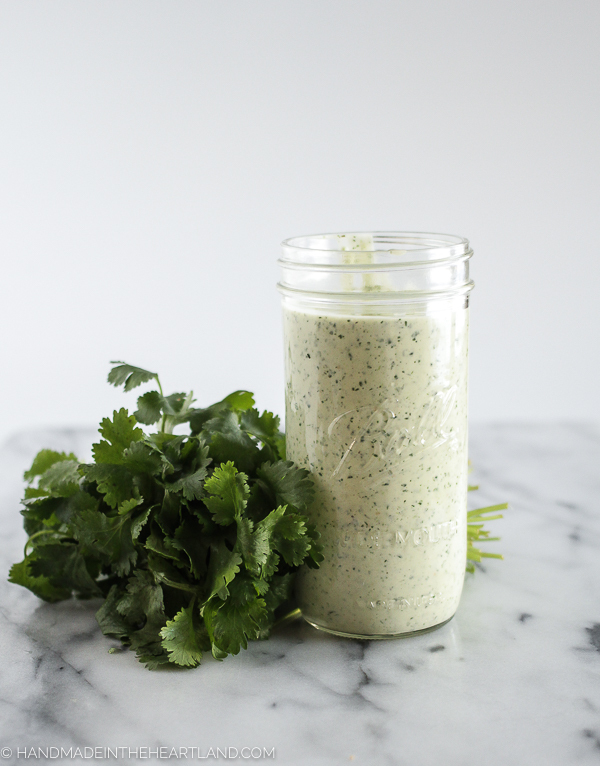 I’m sure you’ll come up with a million ways you want to enjoy this amazing dressing! This post is sponsored by Hamilton Beach, thanks for supporting the brands who support Handmade in the Heartland. This post contains affiliate links. I’m not sure how I managed to cook before I had a food processor. It’s kind of a dream machine in the kitchen. I use mine all. the. time. Life got even better when Hamilton Beach sent me the newest mac daddy of food processor, their 14 cup professional series food processor. 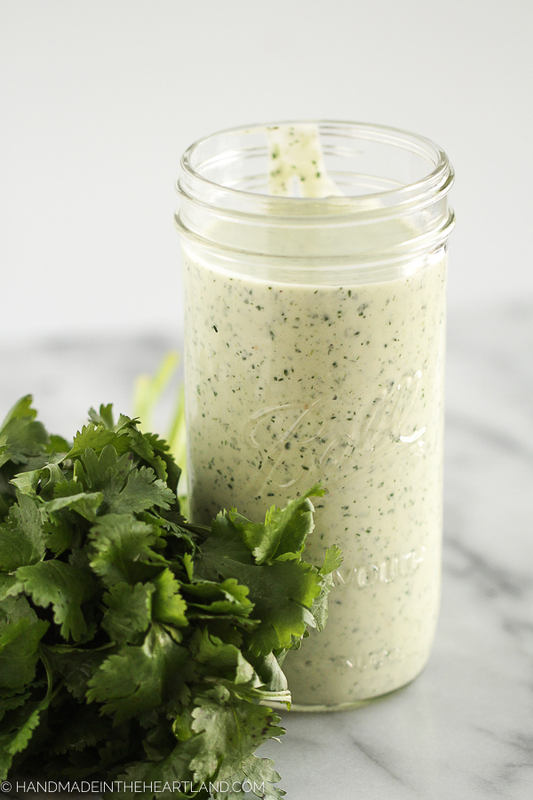 This machine is pretty awesome and it whipped up my favorite cilantro lime ranch dressing in a flash! 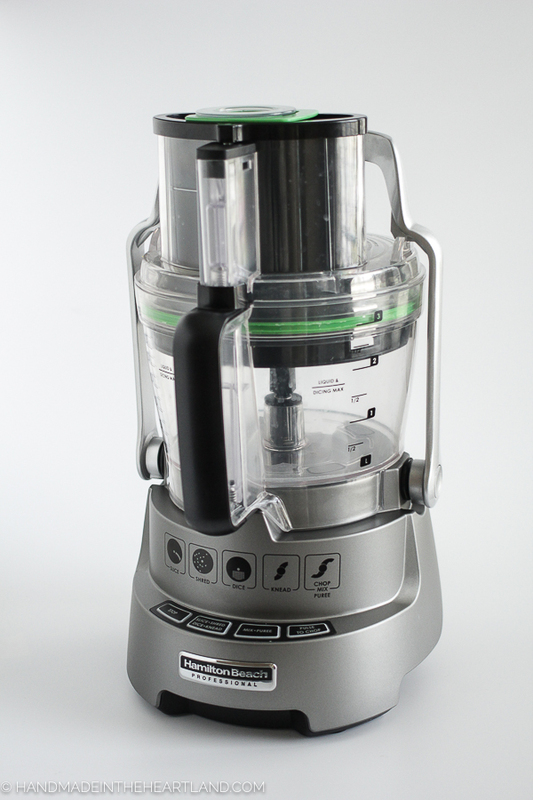 4 Things I love about the Hamilton Beach 14 cup Food Processor. There are a couple things I really love about this appliance. 1. The accessories bin. 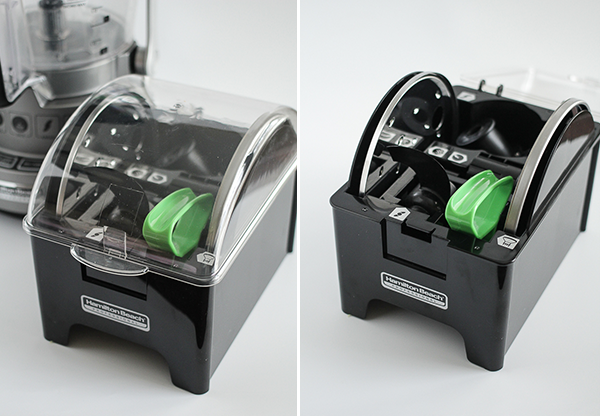 I was instantly impressed that it came with a container to keep all the blades and discs, my previous one did not and those pieces were always a nuisance to keep track of. 2. The adjustable slicing blade. It’s pretty cool- it has 14 different thickness settings! Ultra thin potatoes for chips or really thick slices of pepperoni, it does it all. 3. It dices, which is super cool. Next time I need to make funeral potatoes I’ll be sure and show you the results of dicing the potatoes with this guy! 4. The extra large feed tube. With my previous food processor I ended up having to cut things down quite a lot to fit through the tube, the extra large feed tube helps with that. For this dressing I didn’t do a whole lot of prepping the food. I cut the tomatillos in half and roughly chopped the jalapeño once the seeds were removed but other than that I let the food processor do the work. 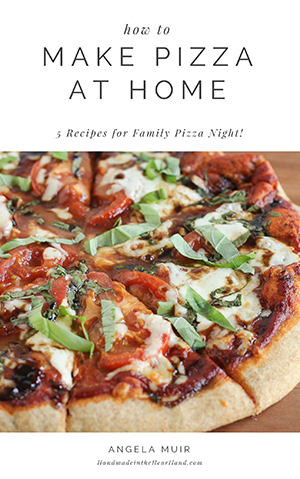 This recipe is a copycat recipe I created from several different versions out there. It tastes really similar to the dressing served at Cafe Rio, we unfortunately do not have a Cafe Rio so we only get the tastes of the west from making it ourself! There is so much you can do with this dressing. You can toss a southwestern salad in it, I think grilled chicken, black beans, bell peppers and romaine sounds perfect. 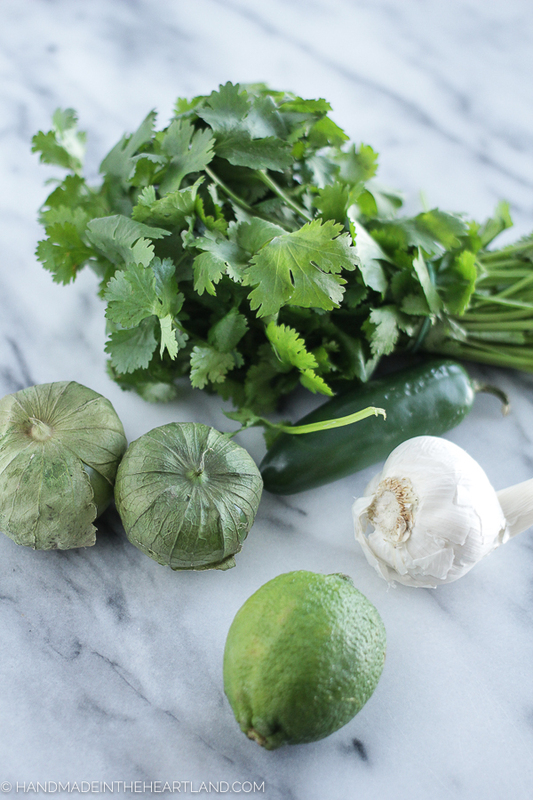 You can use it as a sauce with your burritos or a dip for fresh veggies. You can’t go wrong. If you make this let me know!! Leave a comment or tag me on Instagram (@handmadeintheheartland) or facebook! It makes me so happy to see when you make things from the blog! 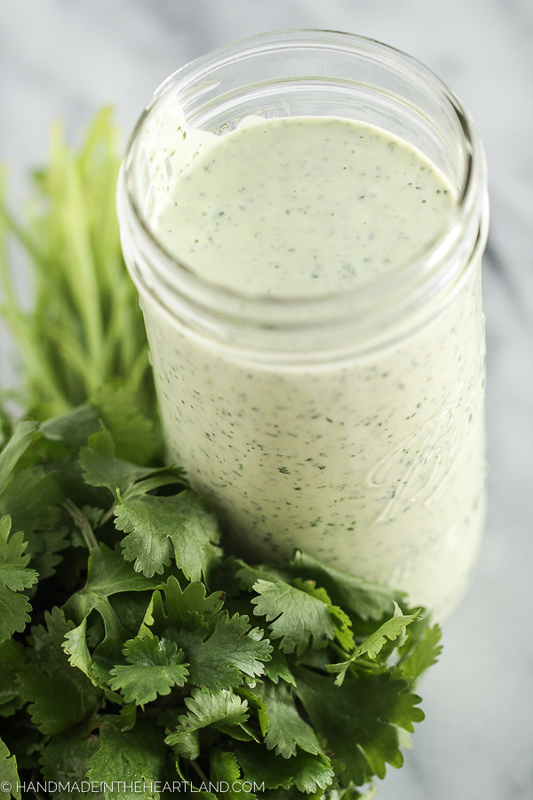 This recipe for cilantro lime ranch dressing is perfect for topping salads, as a sauce to go over burritos or a delicious dip for fresh veggies. 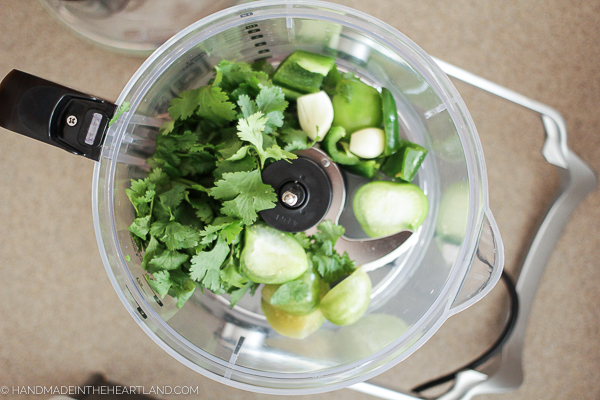 Place all your ingredients into the bowl of a food processor and process until completely combined and smooth. Stop the processor and scrape down the sides of the bowl as needed. Place in a jar or air tight container and keep in the fridge for a week or so.